1. 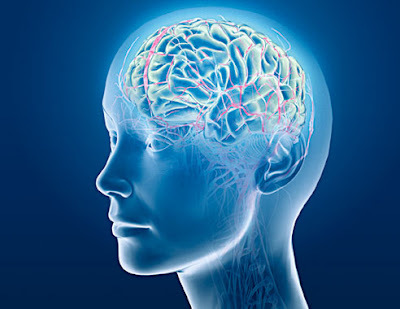 The human brain weighs about three pounds at adult age. This is approximately the same weight of store-bought bag of sugar. 2. The brain cannot feel pain. There are no nerves for pain reception located on it; this means that if you were to be wide awake during brain surgery, you would not feel a thing, other than the drill. Although that would not be very comforting knowing someone is digging around up there. 3. The brain, by composition, is the fattest organ in the body. It, on average, contains more fat cells than the stomach, heart, and any other organ. 4. The brain has wrinkles to increase the surface area of the cerebral cortex (the outer layers of the brain.) More surface area means more cerebral cortex. More cerebral cortex means more computational power and that means smarter people! 5. When you blink, your mind shuts off your visual parts of the brain. This is the reason why you never notice yourself blinking or think much of it. 6. The human mind doesn’t cease to develop until about 25 years from birth. 7. The brain is the softest organ in the body; it can be cut through with a butter knife. In fact, it is almost comparable to a thick paste because of how soft it is. 8. Animals that have generally been assumed to be intelligent, such as the monkey, dolphin, etc. All show to have wrinkled brains, meaning that wrinkles most likely can be correlated to intelligence. 9. Language acquisition is associated with the left hemisphere of the brain. 10. Logic and mathematics is associated with the right side of the brain. 11. Over the course of development, the human brain, on average, has approximately 100 billion connections made. That’s a lot of fibers! 12. Seafood decreases the chance you will get dementia at an older age. 13. The reason the human cannot tickle itself is because the brain develops the ability to discern external and internal causes for touch. 14. Men, in general, are naturally more resistant to pain than women. 15. Dreaming occurs for approximately 2 hours of the sleep cycle. Although you may not always remember it! 16. Sleeping is vital to the brain. It is the time in which your brain processes information presented to it during the day. Without sleep you would not have a very good memory. 17. Every time you have a unique thought or memory, you are physically constructing a new connection in your brain. 18. The human brain, while awake and conscious, generates about 23 watts of electricity. This is enough power to light up a light bulb. 19. Children who learn two languages early on, preferably during their crucial language-development stage, have a different brain than those who do not. They have a higher-density of gray-matter. 20. The reason alcohol slows the brain is because it alters the connections’ ability to communicate. This means that there is a delay between two neurons, and can be the cause of a life-or-death reaction while driving.